Affordable Dental Implants - Free Consulations! The Best Dental Implant Services at the Most Affordable Prices! Get a Tooth Implant from Legend Dental Centre and experience a dental implant that looks, feels, and functions like your natural teeth. Request a FREE consultation today! 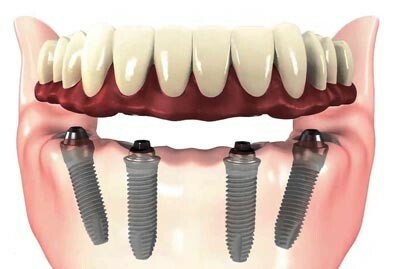 The expert at the Legend Court Dental Centre are proud to offer complete dental implant services, including implant placement, gum and bone grafting, oral surgery and high quality dental implants to our customers in Ancaster, Hamilton, Stoney Creek, Grimsby, Burlington, Oakville, Mississauga, Toronto and beyond. We offer amazing pricing, with implants starting at just $1350! We use only the most current methods and techniques in dental implant technology and dentistry, to make sure you receive the highest quality of dental care for the best price! Why Choose to Do Your Implants With Us? Legend Dental has helped hundreds of patients restore their missing teeth with the best quality of dental implants availalbe that look, feel and function like your natural teeth! We use only the best quality titanium dental implants available in the industry, in order to ensure your complete satisfaction! The cost of our implants may be cheap, but our quality is far from it – we offer only the most affordable dental implant options when compared to other clinics and centres across the Greater Toronto Area! Limited Time Only Offer – Pay Just $1350 Per Dental Implant*! Welcome to the homepage of Ancaster dentist office, Ancaster family dentist, family dental care, periodontist / periodontal care and cosmetic dentistry office, Legend Court Dental Centre, located at 26 Legend Court, Unit 2 in Ancaster Ontario, L9K 1J3. The Legend Court Dental Centre (LDC) is Ancaster’s newest family dentist office, located at 26 Legend Court (Unit 2) in the beautiful Meadowlands of Ancaster, Ontario. We offer complete family dental care, cosmetic dentistry, and periodontal care for new and emergency patients located in Ancaster, Hamilton, Caledonia, Brantford, Dundas, Stoney Creek, Grimsby and beyond, and we are always happy to welcome new clients to our practice. If you are located in the Ancaster, Hamilton, Caledonia, Brantford, Dundas, Stoney Creek, or Grimsby, Ontario areas and are looking for a new family dentist office, or are interested in a cosmetic dentistry consultation and / or procedure, visit the trusted professionals at LDC today – you won’t be disappointed! Having a beautiful smile is sure to enhance your life and confidence, and the team of skilled dental and periodontal care professionals at the Legend Court Dental Centre can help you achieve a beautiful, healthy smile full of beautiful, healthy teeth. Click here to see some of the beautiful smiles we’ve helped craft in the past in our Cosmetic Dentistry Transformations gallery, or click here for a complete list of the family dental care services we are proud to offer our patients. For more information, call us at (905) 304-7227, or visit our office today at 26 Legend Court Unit 2 in Ancaster, Ontario, L9K 1P3. We look forward to seeing you for your next appointment, cosmetic dentistry consultation, dental implant procedure, or family dental care check up! All-On-4 implants are Tooth Implants that look, feel, and function, just like your natural teeth do! All On 4 dental implants from the Legend Court Dental Centre will feel secure, just like your natural teeth. Experience immediate results with our implants, in just a single one day procedure! 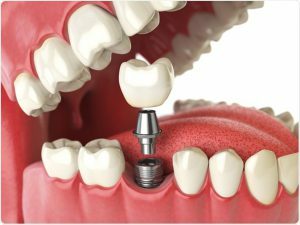 Why Are All-On-4 Dental Implants a Superior Alternative to Traditional Dentures? All on 4 Denture Implants provide an increased level of confidence, and you will never experience embarrassing denture slipping moments! At the Legend Dental Centre, we use computer guided dental implant technology to ensure better implant placement and better results! Our All On 4 Dental implant procedure is the most affordable in the Greater Toronto Area! Limited Time Only Offer – Pay Just $799 For Porcelain Veneers! Plus, get FREE teeth whitening if you purchase 6 or more veneers! Click Here to Book Your FREE Veneer Consultation Now! Fill out the form below, and our friendly office staff and dental professionals will get back to you regarding your inquiry within 2 business days.